RYA Day Skipper Motor course aims to teach practical pilotage, navigation, seamanship and boat handling up to the standard required to skipper a motor cruiser safely in familiar waters by day. This course is has two components: Theory and practical. An online or 5-day classroom Day Skipper theory course must be completed before taking starting the practical training. 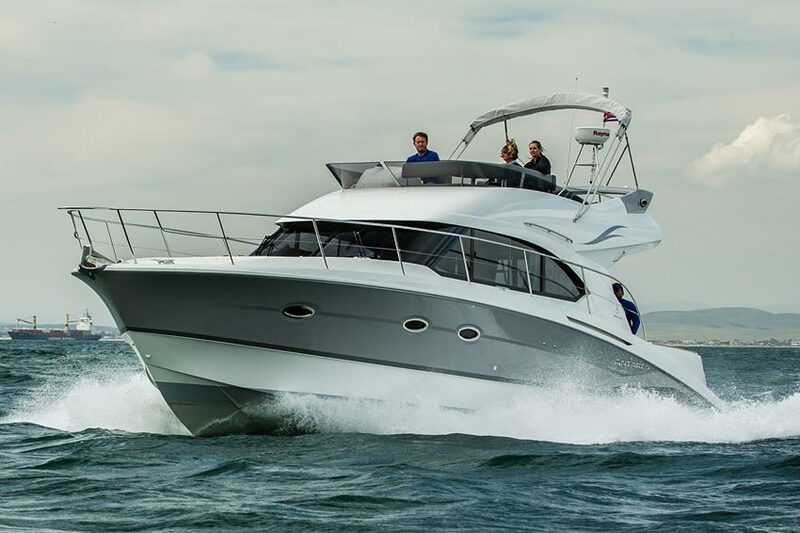 The RYA Day Skipper Motor Cruiser Certificate of Competence is recognised internationally. Due to busy schedules, people do not always have the time to spend 5 days in the classroom for their Shore based theory modules, for this reason the online courses are ideal, as you are able to complete the course in the comfort of your own home, and work at your own pace. Once you have registered for the course, you have 6 months to complete the module. The cost of the RYA Day Skipper Theory online course is R8020.75. Full details here. The course is held at our new Training Centre situated at 201 Buitenkloof Studios, 8 Kloof Street, Gardens, Cape Town. The cost of the RYA Dayskipper theory classroom option is R7 650.00, which includes course materials, and excludes food and accommodation. There are Backpackers within walking distance of our Training Centre. The cost of the course is R14 500,00, which excludes food and accommodation. This is the one RYA practical course, which the RYA allows the candidates not to live aboard. We will send you some accommodation options for either Airbnb or Guesthouse options in the Saldanha Bay Area. Pre course experience is 2 days practical experience on a Motor Cruiser. An have good experience on smaller powerboats and some experience on larger Motorboats, ideally with twin engines prior to taking this course. The candidate must hold a radio licence. NOTE: Students will have to complete the RYA Day Skipper Theory course before doing this practical course.